Bluestone Custom Home is among the best custom home builders in the Madison, Wi area. 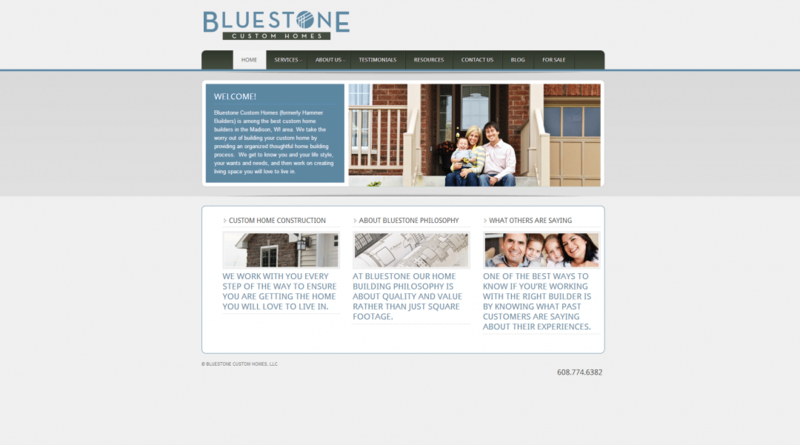 This website is a clean customized WordPress layout allowing users to easily navigate the page creating a great web presence for Bluestone Custom Homes. Implemented on this build was a blog page for posting recent news for the company and also a testimonials piece on the side of the page to display customer reviews.